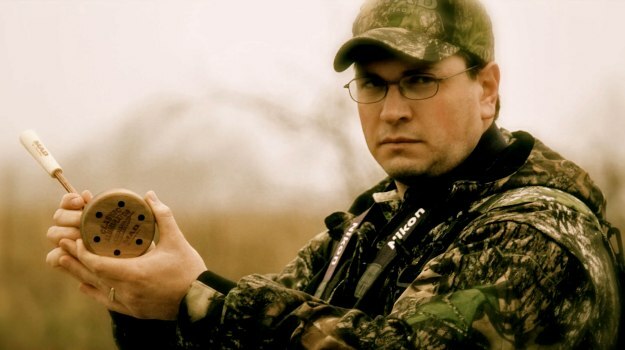 Mossy Oak ProStaffer Josh Grossenbacher from Sandusky, Ohio, has hunted turkeys for 25 seasons and has been entering turkey-calling contests for 17 years. 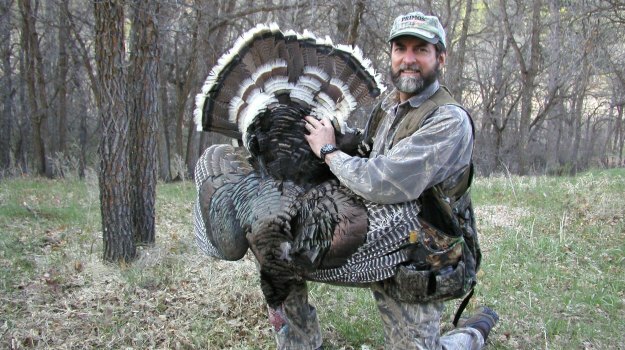 Grossenbacher was the first runner-up in the National Wild Turkey Federation’s 2018 Grand National Calling Championship Senior Division and won the Head-to Head Grand National Calling Championship in 2017. In a turkey-calling contest, you’ve got to be exactly right on all your calls. But in the woods, I don’t worry about making mistakes when I’m calling. I just give my calls and attempt to work a gobbler without any thought about how precisely I’m making each call. 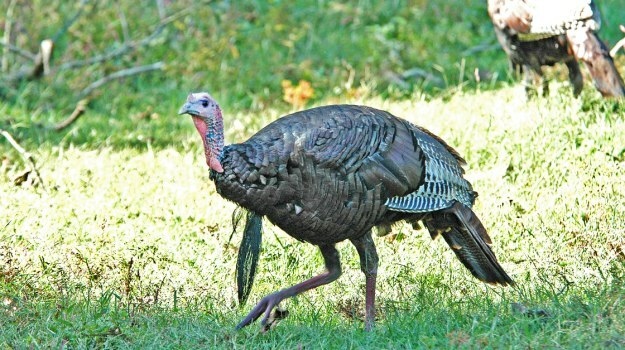 A lot of beginning turkey callers often believe that making a calling mistake will spook the turkey. But that’s just not true. 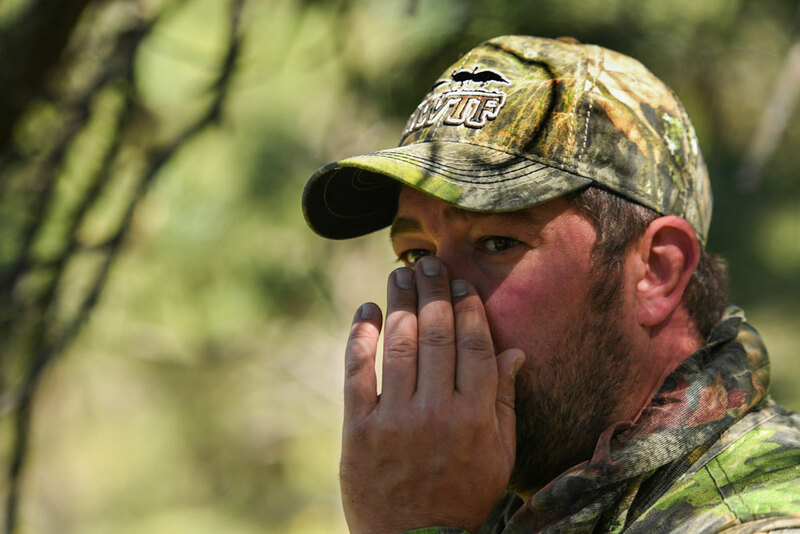 Many times when you’re calling to a good gobbling tom, and you call and perhaps make a mistake, the gobbler will shut up. However, more than likely, the reason the gobbler’s shut up isn’t because you made a bad call but could be due to a hen walking up to him. There’s just no need for him to gobble anymore. Often when that tom gets with a hen, if you’ll just give him some time, he may start gobbling again. I tell folks if you make a mistake with your calling, just keep on rolling and continue to give your calls. Henned-up turkeys are the hardest to hunt. When you have a turkey you’re hunting that’s gobbling really good but that won’t come to you, then more than likely he’s got a harem of hens with him. He sees absolutely no reason to leave them. I’ve lost sleep at night attempting to determine how to get a gobbler away from his hens. One thing that does work is to continue to be persistent in your calling. If you can catch up to that bird, when he doesn’t have his hens with him, you’ll have a good chance to take him. But my best strategy of bagging a henned-up gobbler is to try to get as close to him as I can without being seen and then forget about the gobbler. Instead, I’ll start calling to the dominant hen. Trying to pull the gobbler away from her, often that dominant hen will pull the flock, including the gobbler, right to you. To call that dominant hen, I’ll use aggressive cutting calls and yelping. When that hen calls back to you, don’t hesitate. Call back to her again with those calls before she finishes her call. Let her know that you’re just as mad as she is. Talk like you want to get a fight started with that dominant hen. When she begins to come to you, be as still as possible. Tone down your calling to make the hen think you’re not as close as she had thought. I may even turn my head and throw my call over my shoulder and behind me to sound further away. When you get a hen very close, you better have some good camo. Bottomland blends in so well against a tree. And when it’s good and green, Obsession works just as well. 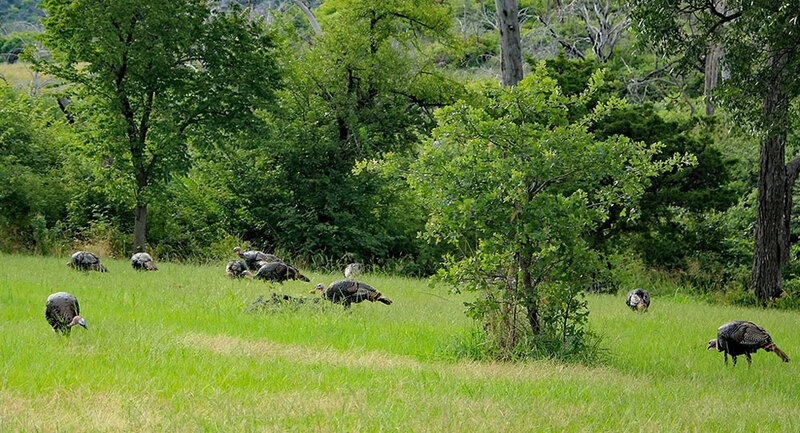 My strategy is to get as close to the gobbler as fast as I can when I hear him gobble. 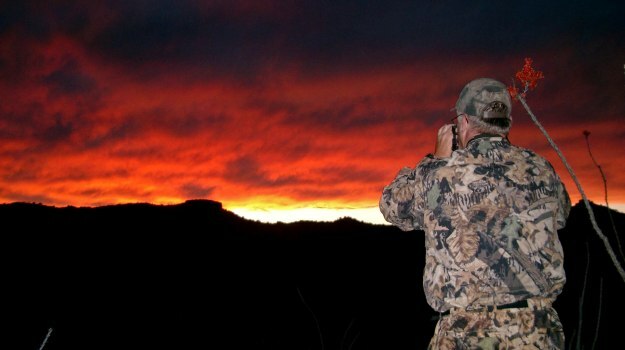 If a gobbler is talking to me, I want to take him quickly before he changes his mind.